Size of the INDUSTRY The size of Indian Cosmetics Industry globally is $ 274 billion, while that of the Indian cosmetic industry is $ 4.6 billion. Market Capitalization According to analysis and figures given by the Confederation of Indian Industries (CII), the total Indian beauty and cosmetic market size currently stands at US$950 million and showing growth between 15-20% per annum. Percentage in World market The overall beauty and wellness market that includes beauty services stands at about US$2,680 million, according to CII estimates. Bearing a long glowing heritage of cosmetic and beauty, aesthetic makeup products is being used since olden days and nowadays it appear like a booming economy in India which would be the largest cosmetic consuming country in a next few decades. While the demand of beautifying substances are growing day by day, a large number of local as well as international manufacturers gradually extend their ranges and products in different provinces of India. Since 1991 with the liberalization along with the crowning of many Indian women at international beauty pageants, the cosmetic industry has come into the limelight in a bigger way. Subsequently their has been a change in the cosmetic consumption and this trend is fueling growth in the cosmetic sector. Indian cosmetic Industry had rapid growth in the last couple of years, growing at a CAGR of around 7.5% between 2006 and 2008. While this is due to the improving purchasing power and increasing fashion consciousness, the industry is expected to maintain the growth momentum during the period 2009-2012. In the Indian Cosmetic Industry both electronic as well as print media are playing an important role in spreading awareness about the cosmetic products and developing fashion consciousness among the Indian consumers. Due to the development of satellite television and a number of television channels as well as the Internet in the modern day, the Indian consumers are constantly being updated about new cosmetic products, translating into the desire to purchase them. Additionally, the flourishing Indian fashion/film industry is fueling growth into the Cosmetic industry in India by making Indians to realize the importance of having good looks and appearances. Today most of the cosmetics manufacturers in India cater to the domestic market but they are gradually establishing their footholds in overseas markets. In recent years, cosmetic manufactures in India have received orders from overseas markets; for example - Indian herbal cosmetic products have a tremendous demand in the international market. The Indian Cosmetics Industry is defined as skin care, hair care, color cosmetics, fragrances and oral care segments which stood at an estimated $2.5 billion in 2008 and is expected to grow at 7%, according to an analysis of the sector.Today herbal cosmetics industry is driving growth in the beauty business in India and is expected to grow at a rate of 7% as more people shun chemical products in favour of organic ones. The emphasis of the herbal cosmetic has been on the spectacular growth of the herbal and ayurvedic beauty products business as conveyed by beauty expert Shahnaz Husain who was the first to introduce the concept of ayurvedic cosmetics to the world when she launched her products way back in 1970. Today, the Indian cosmetics industry has a plethora of herbal cosmetic brands like Forest Essentials, Biotique, Himalaya, Blossom Kochhar, VLCC, Dabur and Lotus and many more. The Indian cosmetics industry has emerged as one of the unique industries holding huge potential for further growth. In 2009, the cosmetics industry registered sales of INR 356.6 Billion (US$ 7.1 Billion) despite the global economic recession. Indian cosmetics Industry has mainly been driven by improved purchasing power and rising fashion consciousness of the Indian population and industry players spending readily on the promotional activities to increase consumer awareness and develop their products. According to a new research report, the Indian Cosmetics Industry is expected to witness impressive growth rate in the near future owing to rising beauty concern of both men and women. Today the industry holds promising growth prospects for both existing and new players. The baseline is that there has been a rise in variety of products offered by the industry players in the country. The companies have started going for rural expansion and are offering specialized products to generate revenues from all the corners of the country. Improvement and strengthening of the Indian economy in the coming years will also pave the way for the Indian cosmetics market over the forecast period and develop the Cosmetic Industry. The Indian Cosmetic market which traditionally a stronghold of a few major Indian players like Lakme, and Ponds has seen a lot of foreign entrants to the market within the last decade. India is a very price sensitive market and the cosmetics and personal care product companies, especially the new entrants have had to work out new innovative strategies to suit Indian preferences and budgets to establish a hold on the market and establish a niche market for them. According to analysis and figures given by the Confederation of Indian Industries (CII), the total Indian beauty and cosmetic market size currently stands at US$950 million and showing growth between 15-20% per annum. The overall beauty and wellness market that includes beauty services stands at about US$2,680 million, according to CII estimates. The size of Indian Cosmetics Industry globally is $ 274 billion, while that of the Indian cosmetic industry is $ 4.6 billion. 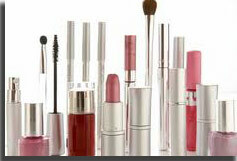 The current size of the Indian Cosmetic Industry is approx US$ 600 million. Among these fastest growing segment is color cosmetics, accounting for around US$ 60 million of the market. Industry sources estimate a rapid growth rate of 20% per annum across different segments of the cosmetics industry reflecting with an increasing demand for all kinds of beauty and personal care product. Growth in the Indian Cosmetic Industry has come mainly from the low and medium-priced categories that account for 90 % of the cosmetics market in terms of volume. Costs for importing other products are much higher than producing it in the country. India usually allows the entry of imported cosmetics without any restrictions but the average import tariff on cosmetics products is currently very high at 39.2%. Lakmé is the Indian brand of cosmetics, owned by Unilever. It started as a 100% subsidiary of Tata Oil Mills (Tomco), part of the Tata Group; it is named after the French opera Lakmé, which itself is the French form of Lakshmi, the goddess of wealth who has is also renowned for her beauty. Revlon is an American cosmetic for skin care, fragrance, and Personal Care Company founded in 1932. Oriflame Cosmetics S.A. (Luxembourg) is a cosmetics group, founded in 1967 in Sweden by the brothers Jonas AF Jochnick and Robert AF Jochnick. The L'Oréal Group is the world's largest cosmetics and Beauty Company. It concentrates on hair colour, skin care, sun protection, make-up, perfumes and hair care. Chambor cosmetic line is a blend of the finest traditions in terms of radiant color, soft texture and skin accentuator. Maybelline is a makeup brand sold worldwide and owned by L'Oréal. Avon Products, Inc. is a US cosmetics, perfume and toy seller with markets in over 140 countries across the world. 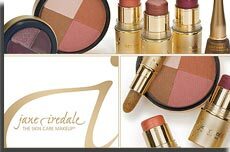 ColorBar cosmetics are one of the leading brands of color cosmetics in India. Street Wear is a young, funky and hip brand which globally is positioned at the young and trendy shopper and the range consists of about 30 SKUs covering categories like nail enamel, lipsticks, lip gloss, face make-up kits and eye shadows. According to Indian Cosmetic Sector Analysis (2009-2012), the Indian cosmetics industry is expected to witness fast growth rate in the coming years on the back of an increase in the consumption of beauty products. Owing to growing disposable income of the middle class households and changing lifestyle, it is expected that the cosmetics industry will grow at a CAGR of around 17% during 2010-2013. A study even shows that affordability and rising consumer base were the main drivers behind the high cosmetic sales of around INR 356.6 Billion (US$ 7.1 Billion) in 2009. Market players are getting lucrative and good opportunities as people have become more beauty conscious due to changing lifestyle and spreading consumer awareness. According to ASSOCHAM the size of India's cosmetics market will rise by almost a half to 1.4 billion dollars in the next two-three years as people get fashion conscious and more brands are launched. With increased awakening about cosmetics brands, which is evident even in rural India, the industry size will grow to around 1.4 billion dollars from current level of 950 million. It is projected to grow at a CAGR of around 7% during the forecast period. Indian Cosmetics Industry is set for a significant growth depending on the capability of the manufacturers to market their products. Products that claim to renew cells, minimize pores, and restore hydration have created an $83 billion worldwide market. Due to the optimistic assessment the domestic cosmetic and toiletries industry show that with increased awakening which is growing even in rural India, its size will grow in next 2-3 years to around US$ 1400 million from current level of US$ 950 million. Till then India's per capita consumption of cosmetic and toiletries products could be on par with that of China which currently is US$ 1.5, says ASSOCHAM analysis.